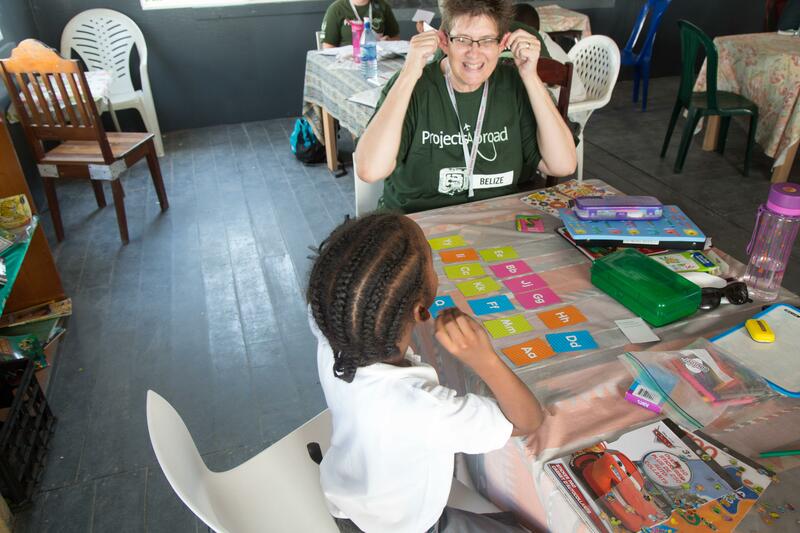 Volunteer as a teacher in Belize and get practical classroom experience by working with children in local schools. 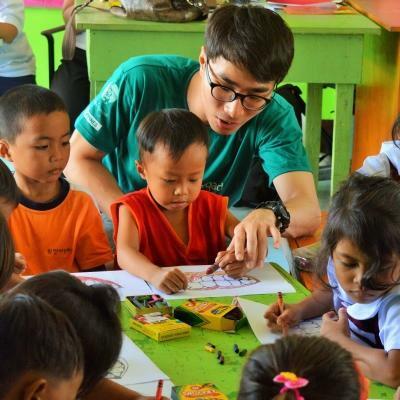 You’ll help us support education for disadvantaged children and raise literacy levels. Seize the opportunity to experience the day-to-day life of a teacher, which can help prepare you for a career in education. You will work alongside teachers in a primary or secondary school. Your focus is on giving struggling students extra support during classes. You can also join our literacy programme to teach basic reading and writing skills. You’ll be based in San Pedro, an idyllic coastal community in Belize, and live with a host family. 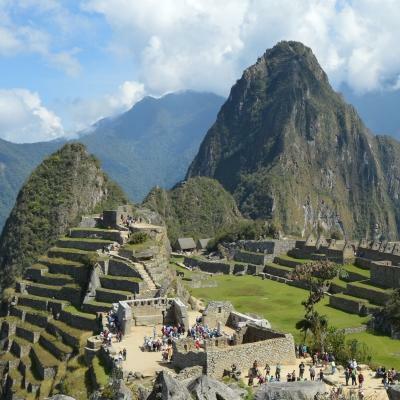 Visit local markets, explore caves, or take a trip through lush jungles in your free time. Is teaching in Belize right for me? 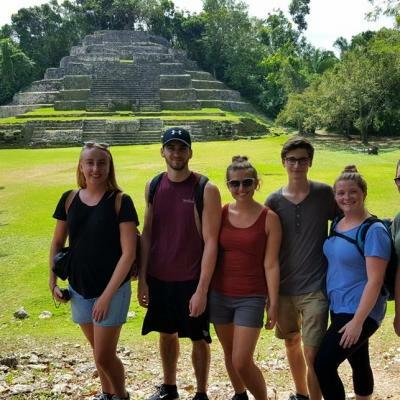 This is a great opportunity to gain valuable teaching work experience in Belize while making a difference to the lives of students. It’s perfect for anyone with a passion for teaching and working with children. 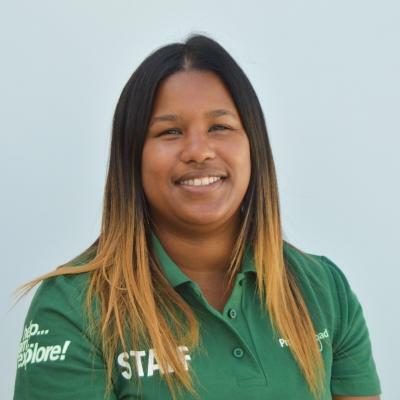 Our Teaching Supervisor will guide you through planning lessons, so all you really need is energy, enthusiasm, and a love for children. This will also help you develop skills that will be useful to you in many different areas of your life. You can sharpen your management and planning skills. If you’re looking to go into a career in teaching, you’ll get first-hand experience of what the daily life of a teacher is like. With flexible work schedules and lots of guidance, it’s the perfect environment for learning and finding your feet as a prospective teacher. This project runs all year round so you can join whenever it suits you. You can sign up for a minimum of two weeks and stay as long as you like. 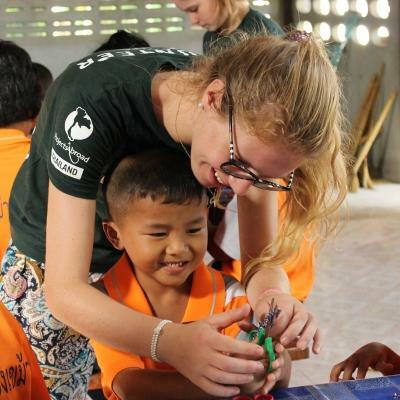 What will I do at my volunteer Teaching Placement in Belize? programme allows you to teach an entire class or run remedial classes with students who need extra help. As a teaching assistant, you will work alongside teachers to develop your own lesson plans. You’ll teach classes in a variety of subjects. With the help of your supervising teacher, you’ll also outline the objectives of your lessons and see if you hit those targets! Don’t worry if you don’t immediately feel comfortable enough to take your own class. You’re welcome to assist local teachers or provide more individualised support to small groups students. We can tailor the work you do according to your confidence and experience. An important part of this project is providing remedial support to students to build their skills and self-confidence. Working in small groups, you can focus on what each child is struggling with to make sure they don’t fall behind in their studies. You’ll help teachers with marking work so that you can identify which children are struggling. Then, you’ll come up with creative ways to help them in these areas. You can do sums using seashells to make learning maths more visual. Or turn the letters of the alphabet into pictures so students find it easier to remember each one. Making learning more exciting will help students to look at education differently and ultimately, they’ll retain much more information when they’re having fun. We run a literacy programme to focus specifically on teaching students English. These are 30 minute lessons, where you’ll work closely with students, improving their reading and writing skills. Working on students’ English skills will keep them from dropping out of school. This programme will run alongside your regular classroom tasks and you can choose to get involved in literacy lessons once a week, or several times per week. You can even split your time equally between classroom work and literacy lessons. 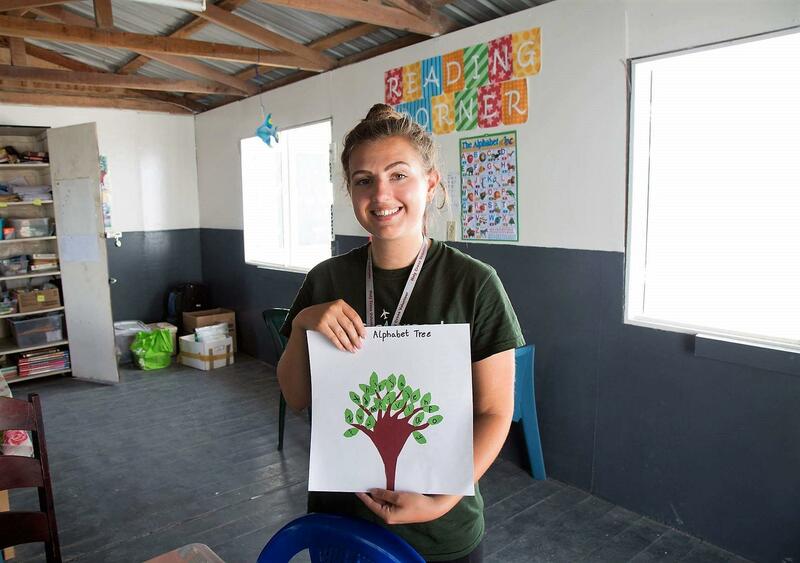 Ready to get creative at your volunteer teaching placement in Belize? Get out the colourful cardboard, glue, and scissors and make an eye-catching collage of the world map. Or you can make an informative poster about the importance of handwashing. You can stick up these bright, educational resources, making classrooms welcoming. 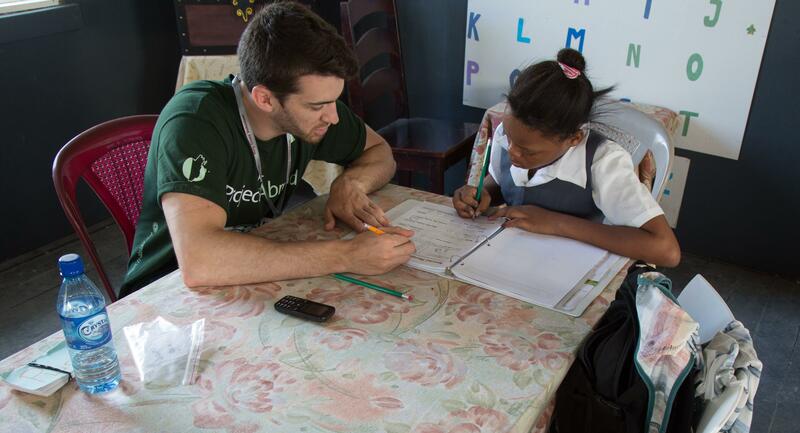 You will gain teaching work experience in primary and secondary schools in San Pedro, Belize. San Pedro is a coastal town in the south of Ambergris Caye, a narrow island off the coast of Belize. The schools where you work will be less developed than what you’re used to. They also lack resources. This is why the work you do to keep children engaged during lessons is so important. When you’re not teaching children, you can explore the beauty of San Pedro. The tropical white sand beaches are a must see. And you can even scuba dive through the rainbow forests of coral along the Belize Barrier Reef. Take a boat tour along the coast or simply sip cocktails at a seaside bar. You’ll wake up to the steady rhythm of waves washing onto the shore. Over a delicious breakfast of fresh fruit, you can chat to your host family. When you’re ready, you’ll take a scenic bicycle ride or walk to your placement school. Lessons start at 8.30am. You’ll assist a teacher or take a class of your own. You can use innovative ways to make learning fun and engaging, like holding an exciting quiz or acting out scenes from an English book. Once you’ve finished teaching your class, you can start marking homework assignments. You’ll use this time to see which students are struggling to keep up with the work. You can then run remedial classes with these students. You’ll come up with new ways to explain concepts and encourage interactive learning through games and activities. 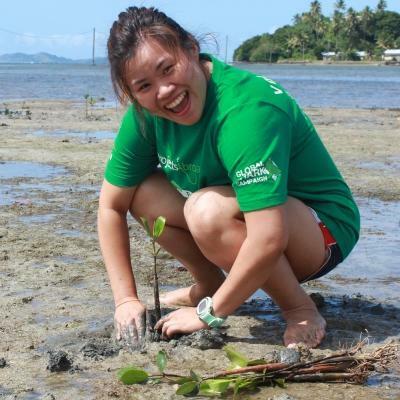 Your volunteer work will usually finish at about 4pm, depending on the tasks you get involved in. During your free evenings, you can spend time relaxing on the beach. Or stay up late playing card games with other volunteers. You’ll chat, laugh, get a little too competitive, and form bonds that will last a lifetime. What are the aims and impact of this Teaching Project? The aim of this project is to bring struggling students up to the required level to help them succeed at school. The population of San Pedro is continually growing, with classrooms holding more than 30 students to one teacher. The annual curriculum is heavy and teachers do not always have the time to work with individual students falling behind. In Belize, teachers are also expected to buy their own educational supplies and learning materials, because of a lack of public funding. This means that classrooms are often uninspiring with bare walls or old educational posters. You can help improve classroom support by giving focused, individualised attention to students who are struggling. You’ll also be an extra pair of helping hands to take the added pressure off local teachers. The work you do to create resources and make classrooms colourful and stimulating will help facilitate education. You’ll also work on students’ English literacy skills. The work you do will keep them from dropping out of the schooling system. This will help improve their future prospects. Join us in Belize and help local schools work towards achieving these goals. 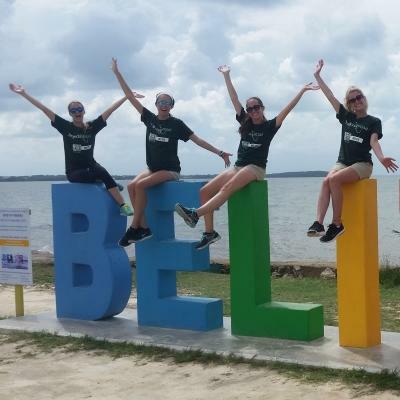 Overall, I had an incredible experience volunteering with Projects Abroad in Belize and would recommend it in an instant. Don’t hesitate, say yes to every opportunity that comes your way and go with an open mind!